I'm doing some extra-curricular reading at the momement that is meant to generate some ideas I can use for an upcoming Theology of Ministry paper (due in November). It is definitely stirring my mind, but like I experienced during my month away at Asbury, it's stirring my heart as well. I joked yesterday in the sermon I preached that once I finished the two papers I turned in on Friday I wanted to read something not on a syllabus. So, I started reading a book on Old Testament Theology (I didn't get a single laugh out of that in two services. They must really think I'm a nerd!). 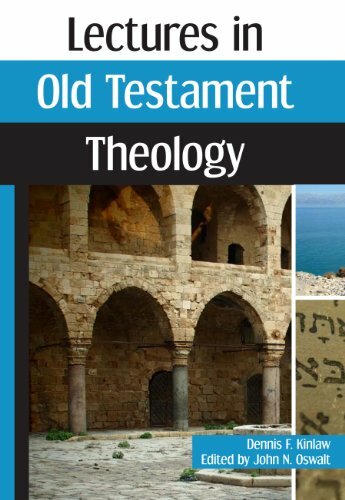 The book, linked below, is Dennis Kinlaw's Lectures in Old Testament Theology. Dr. Kinlaw is a bit of a spiritual hero to me. I try to read Preaching in the Spiritonce a year, and I love listening to his sermons and lectures on my iPhone. He taught at Asbury University and Asbury Theological Seminary and so I knew that his book on OT Theology would be right up my alley. In this presentation, Dr. Kinlaw shines even more light on something I was thinking while reading the introduction of Harald Linström's book Wesley & Sanctification. One scholar accuses Wesley of being merely an empiricist when it comes to theology, which is certainly a valid argument. Wesley was concerned with the experience of the Christian faith. However, as I read that paragraph in Lindström's book I kept thinking, "But Wesley wanted us to experience the God of the Bible that he studied vigorously - it was a melding of heart and mind. He wants us to know (mind) the God we are to love with all of our heart, soul, mind, and strength." Lindström made the same point a couple pages after I thought this, but it did not come alive for me until I read chapter 1 in Kinlaw's book. It's not gnosticism, it's intimacy. Oh, that we might get more of this! Read more, study more, but do it to get more of God!